On Record Store Day 2012 I went to the huge Glebe Record Fair in search of some collectable treasure and came home with three nice items. 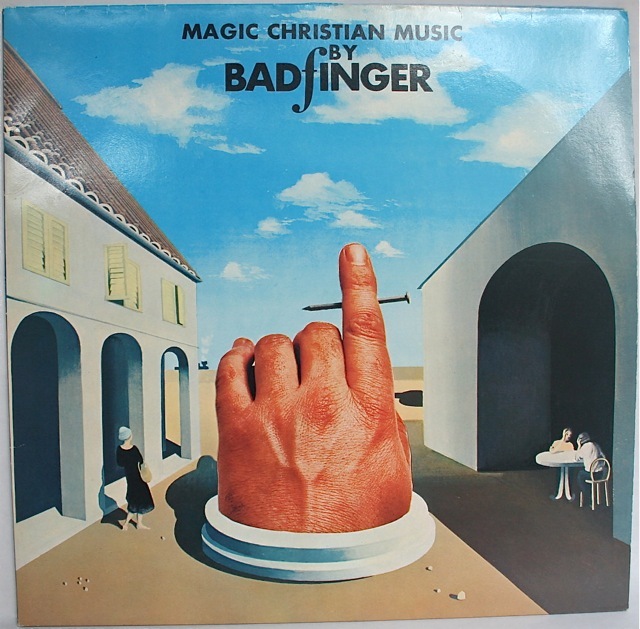 This is the original 1970 album “Magic Christian Music” by Badfinger, reissued in 1991 on Apple Records – only this time as a gatefold cover and containing a bonus 12″ disc with two extra songs. 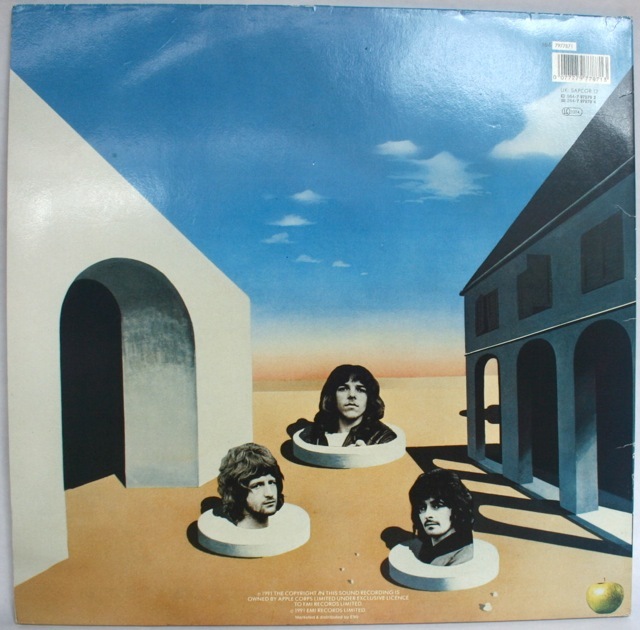 It was part of Phase I of a significant series of reissues which included James Taylor’s “James Taylor”, Mary Hopkins’ “Postcard”, Jackie Lomax’s “Is This What You Want?”, and Billy Preston’s “That’s the Way God Planned It”. 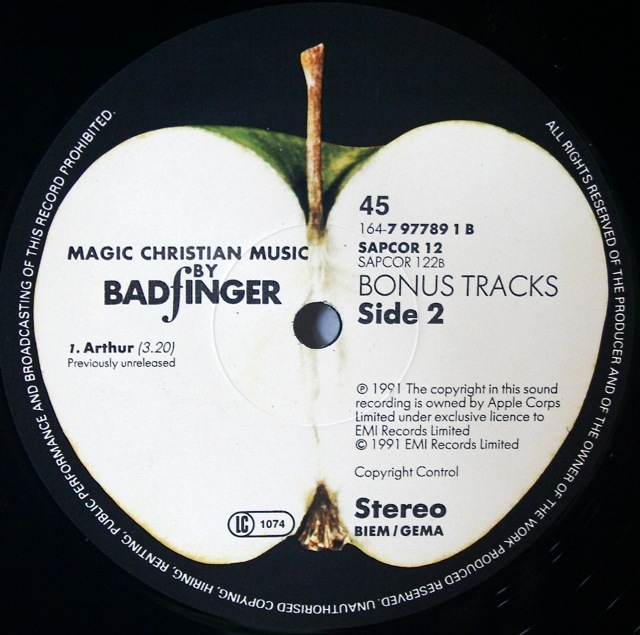 “Arthur” was later included on the double CD of bonus tracks which came with the Apple CD box set that came out in 2010, only with a different stereo remix. Next time the other collectable item I discovered. Stay tuned. 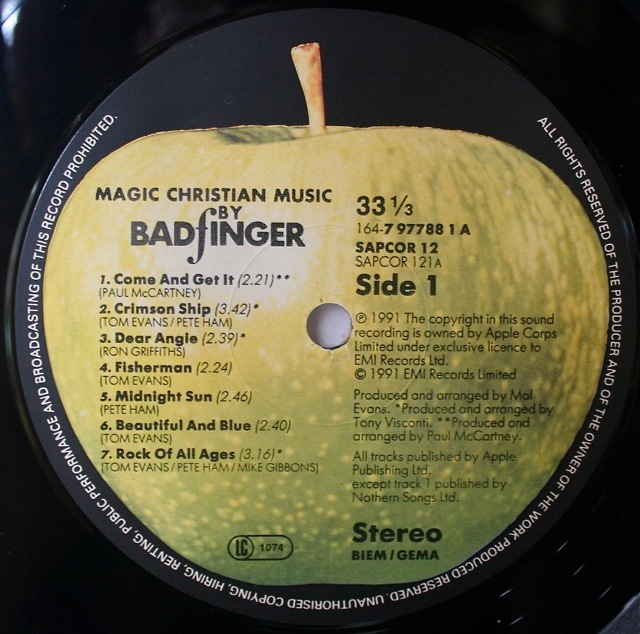 This entry was posted in Apple Records, Badfinger, Beatles, Beatles Music, Beatles Related, Paul McCartney and tagged Apple Records, Apple Reissues, Badfinger, Beatles, Music by beatlesblogger. Bookmark the permalink. Very good purchase! 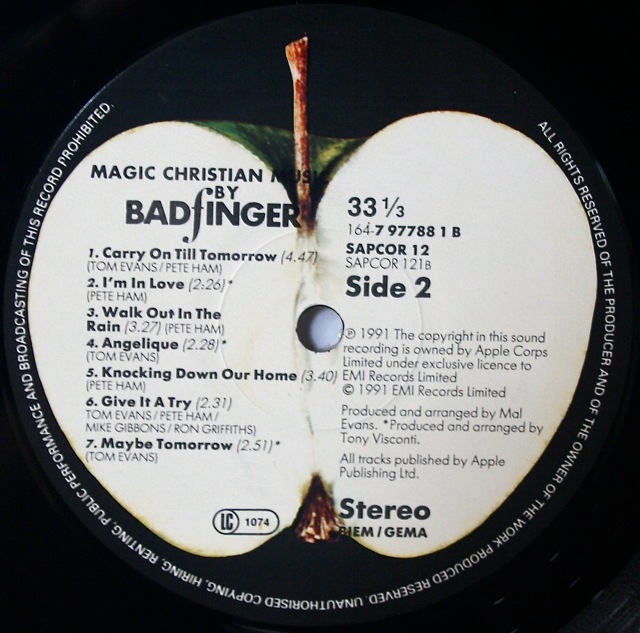 No doubt Apple had a growing movement in the early 90’s, with the circulation of these reissues, and finally the release of the Anthology project demonstrates. 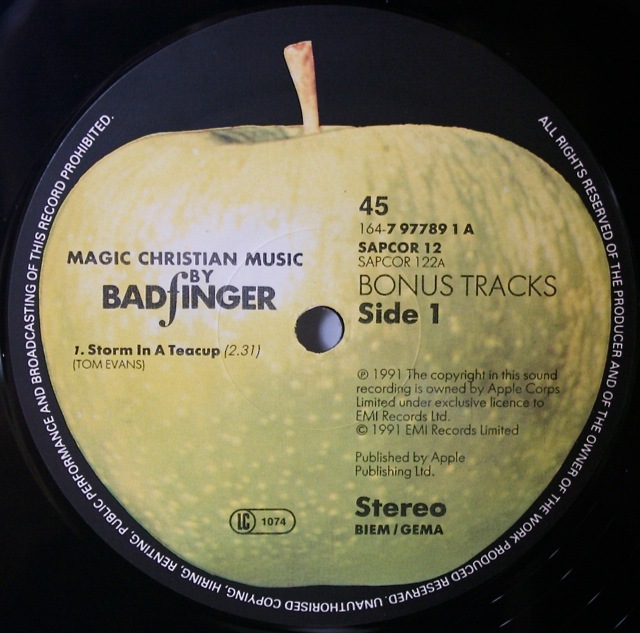 I think now Apple and EMI are not going to be any alternative but to republish The Beatles collection on vinyl, after the movies announced of course, but it is certainly possible that a remastered reissue on vinyl would be of great commercial appeal . Very good purchase! 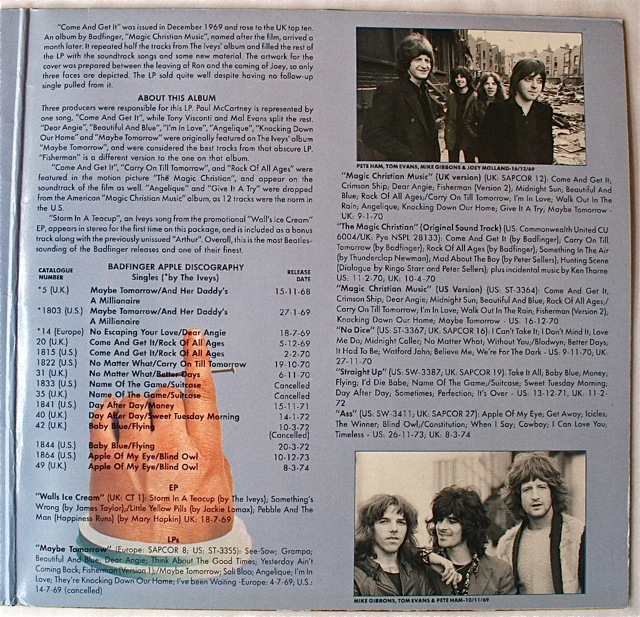 No doubt Apple had a grnwoig movement in the early 90 s, with the circulation of these reissues, and finally the release of the Anthology project demonstrates. 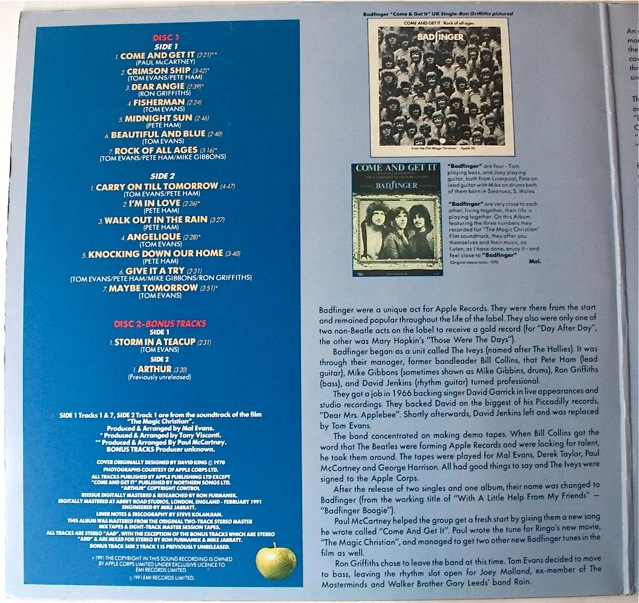 I think now Apple and EMI are not going to be any alternative but to republish The Beatles collection on vinyl, after the movies announced of course, but it is certainly possible that a remastered reissue on vinyl would be of great commercial appeal .